Legislation that will kill the controversial lawsuit filed by the Southeast Louisiana Flood Protection Authority-East (SLFPA-E) last summer against 97 oil companies for historic coastal damage is headed for final approval. The Louisiana House voted 59-39 to approve Senate Bill 469, a measure aimed at killing the lawsuit that Governor Bobby Jindal strongly opposed on the basis that it was as an illegal measure that overstepped the authority of SLPA-E. The legislation will block SLFPA-E and similar entities from filing future lawsuits of this kind and retroactively kill the pending lawsuit. The bill now goes back to the Senate for final review of the retroactive amendment and then on to Governor Jindal for signature. The SLFPA-E lawsuit claims the loss of wetlands in its jurisdiction means levees and floodwalls must be built higher, resulting in a dramatic increase in their costs for building and maintaining levees and floodwalls.The lawsuit alleges that 97 companies should be liable for repairing the damage and helping to defray the cost of flood protection now and in the future. SLFPA-E claims that most of the drilling and dredging that led to the loss of wetlands was performed under permits that required the companies to repair any environmental damage, and alleges that this was never done. (Arguably if this were true, action to enforce such permit conditions against the permitted company at the time would have been available, more effective and more protective of the environment). SLFPA-E also claims that the companies violated the federal Rivers and Harbors Act by putting more stress on flood protection levees. The lawsuit also alleges that because the projects turned marsh into open water, the work increased the amount of storm surge that moves into the metro area during tropical storms and hurricanes. The suit claims that violates a principle of civil law called “servitude of drainage,” which prohibits one person from increasing the flow of water onto someone else’s property. In addition to coastal erosion, the lawsuit also alleges other oil industry impacts, including road dumps, watercraft navigation and impoundments. 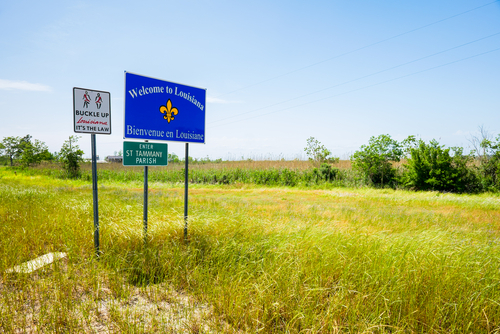 SLFPA-E is a political subdivision created through amendment to the Louisiana Constitution in the aftermath of Katrina to provide flood protection for St. Bernard, Orleans and Jefferson parishes. Attempts to amend or scuttle SB 469 were soundly defeated and the bill advanced with solid support. Good decision by Minnesota ALJ Eric Lipman rejecting claims that the Chippewa Tribe should have power over pipeline siting decisions based on a 19th Century treaty. The Judge ruled that the treaty ceding Chippewa lands in Minnesota to the U.S. government does not bar later acquisition of a route. The Order states, “The treaty does not forbid creation of new rights of way on the land that was sold in 1855,” See article by David Shaffer, Star Tribune. This will be one to watch as it will likely head to federal court. You are currently browsing entries tagged with lawsuit at Line of Sight: Pipeline Law Alerts and Analysis.